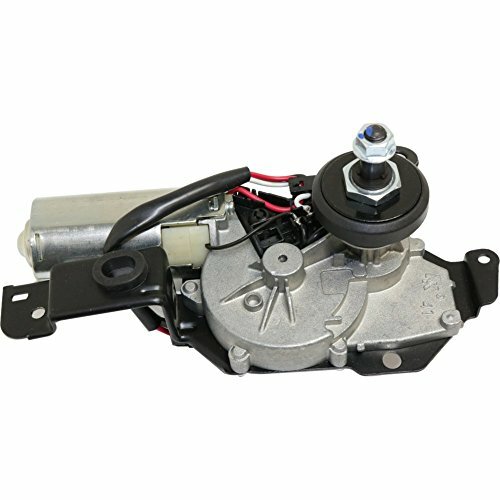 1992 Ford Explorer Rear Wiper Blade - PremiumCategory: Ford Explorer Rear WiperGoodyear is synonymous with quality and reliability. Drivers from NASCAR to NHRA rely on Goodyear products to compete at the highest levels of automotive racing. With Goodyear wiper blades you can be assured that, you will experience superior wiper blade performance to keep your windshield clear for a safe driving experience. Goodyear Wiper Blades are made in the USA and designed to perform in all weather conditions.Goodyear Premium line is the match between performance and economy. These Goodyear Premium Wiper Blades are made in the USA and designed to perform in all weather conditions. 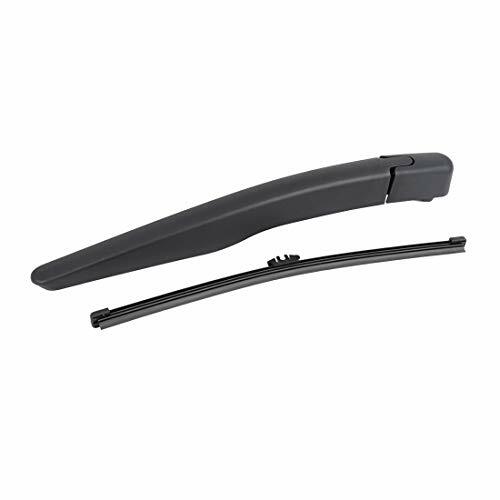 1998 Ford Explorer Wiper Blade Set/Kit (Front & Rear) (3 Blades) - PremiumCategory: Ford Explorer Rear WiperGoodyear is synonymous with quality and reliability. Drivers from NASCAR to NHRA rely on Goodyear products to compete at the highest levels of automotive racing. With Goodyear wiper blades you can be assured that, you will experience superior wiper blade performance to keep your windshield clear for a safe driving experience. Goodyear Wiper Blades are made in the USA and designed to perform in all weather conditions.Goodyear Premium line is the match between performance and economy. These Goodyear Premium Wiper Blades are made in the USA and designed to perform in all weather conditions. 2004 Ford Explorer Wiper Blade Set/Kit (Front & Rear) (3 Blades) - Vision SaverCategory: Ford Explorer Rear WiperVision Saver blades ensure smooth wiping and streak-free performance from the special moly coated natural rubber element. An extended life is provided by a Vision Saver's round hinge squeegee design. Vision Saver blades perform at high-speed and windy driving conditions due to the patented aerodynamic wiper frames. Other blades will lose contact with the windshield surface resulting in poor wiping performance. Protection from rusting, chipping, and corrosion comes from both galvanized steel frames are a double coating of paint. 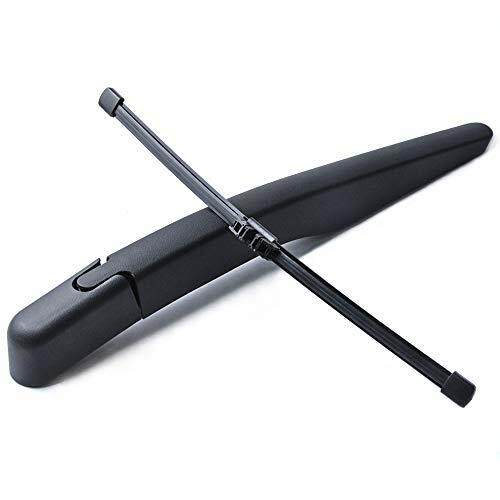 2008 Ford Explorer Wiper Blade Set/Kit (Front & Rear) (3 Blades) - PremiumCategory: Ford Explorer Rear WiperGoodyear is synonymous with quality and reliability. Drivers from NASCAR to NHRA rely on Goodyear products to compete at the highest levels of automotive racing. With Goodyear wiper blades you can be assured that, you will experience superior wiper blade performance to keep your windshield clear for a safe driving experience. Goodyear Wiper Blades are made in the USA and designed to perform in all weather conditions.Goodyear Premium line is the match between performance and economy. These Goodyear Premium Wiper Blades are made in the USA and designed to perform in all weather conditions. 2006 Ford Explorer Wiper Blade Set/Kit (Front & Rear) (3 Blades) - PremiumCategory: Ford Explorer Rear WiperGoodyear is synonymous with quality and reliability. Drivers from NASCAR to NHRA rely on Goodyear products to compete at the highest levels of automotive racing. With Goodyear wiper blades you can be assured that, you will experience superior wiper blade performance to keep your windshield clear for a safe driving experience. Goodyear Wiper Blades are made in the USA and designed to perform in all weather conditions.Goodyear Premium line is the match between performance and economy. 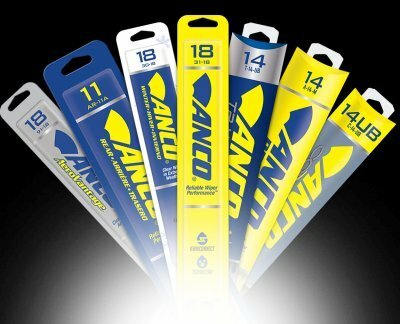 These Goodyear Premium Wiper Blades are made in the USA and designed to perform in all weather conditions. 2008 Ford Explorer Wiper Blade Set/Kit (Front & Rear) (3 Blades) - Vision SaverCategory: Ford Explorer Rear WiperVision Saver blades ensure smooth wiping and streak-free performance from the special moly coated natural rubber element. An extended life is provided by a Vision Saver's round hinge squeegee design. Vision Saver blades perform at high-speed and windy driving conditions due to the patented aerodynamic wiper frames. Other blades will lose contact with the windshield surface resulting in poor wiping performance. Protection from rusting, chipping, and corrosion comes from both galvanized steel frames are a double coating of paint. 2004 Ford Explorer Wiper Blade Set/Kit (Front & Rear) (3 Blades) - PremiumCategory: Ford Explorer Rear WiperGoodyear is synonymous with quality and reliability. Drivers from NASCAR to NHRA rely on Goodyear products to compete at the highest levels of automotive racing. With Goodyear wiper blades you can be assured that, you will experience superior wiper blade performance to keep your windshield clear for a safe driving experience. Goodyear Wiper Blades are made in the USA and designed to perform in all weather conditions.Goodyear Premium line is the match between performance and economy. These Goodyear Premium Wiper Blades are made in the USA and designed to perform in all weather conditions. 1997 Ford Explorer Wiper Blade Set/Kit (Front & Rear) (3 Blades) - Vision SaverCategory: Ford Explorer Rear WiperVision Saver blades ensure smooth wiping and streak-free performance from the special moly coated natural rubber element. An extended life is provided by a Vision Saver's round hinge squeegee design. Vision Saver blades perform at high-speed and windy driving conditions due to the patented aerodynamic wiper frames. Other blades will lose contact with the windshield surface resulting in poor wiping performance. Protection from rusting, chipping, and corrosion comes from both galvanized steel frames are a double coating of paint. 2005 Ford Explorer Wiper Blade Set/Kit (Front & Rear) (3 Blades) - PremiumCategory: Ford Explorer Rear WiperGoodyear is synonymous with quality and reliability. Drivers from NASCAR to NHRA rely on Goodyear products to compete at the highest levels of automotive racing. With Goodyear wiper blades you can be assured that, you will experience superior wiper blade performance to keep your windshield clear for a safe driving experience. Goodyear Wiper Blades are made in the USA and designed to perform in all weather conditions.Goodyear Premium line is the match between performance and economy. These Goodyear Premium Wiper Blades are made in the USA and designed to perform in all weather conditions. 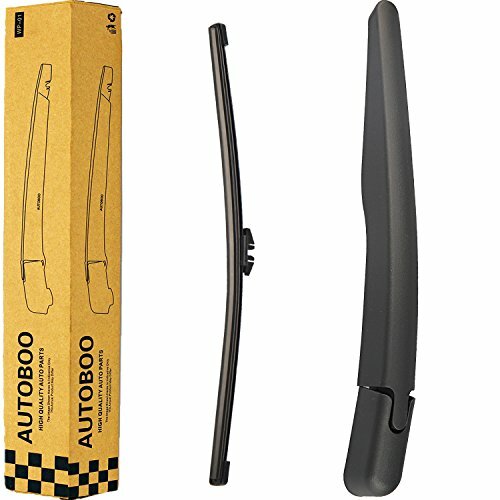 2001 Ford Explorer Wiper Blade Set/Kit (Front & Rear) (3 Blades) - HybridCategory: Ford Explorer Rear WiperGoodyear is synonymous with quality and reliability. Drivers from NASCAR to NHRA rely on Goodyear products to compete at the highest levels of automotive racing. With Goodyear wiper blades you can be assured that, you will experience superior wiper blade performance to keep your windshield clear for a safe driving experience. 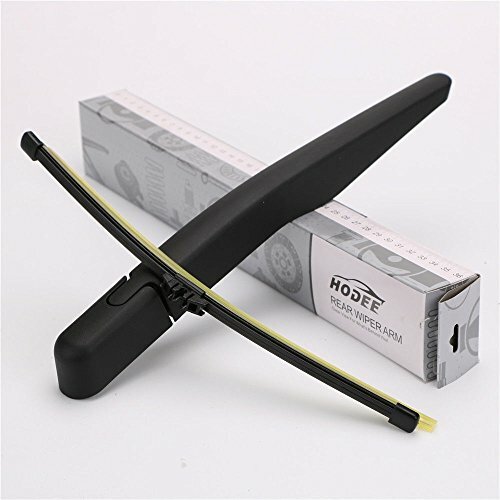 Goodyear Wiper Blades are made in the USA and designed to perform in all weather conditions.The Goodyear Hybrid wiper blade line is an evolution in wiper design. Goodyear Hybrid blades combine the best technologies from both frameless and frames wiper blades. 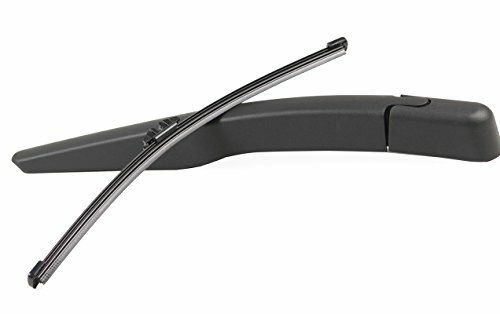 2010 Ford Explorer Wiper Blade Set/Kit (Front & Rear) (3 Blades) - Vision SaverCategory: Ford Explorer Rear WiperVision Saver blades ensure smooth wiping and streak-free performance from the special moly coated natural rubber element. An extended life is provided by a Vision Saver's round hinge squeegee design. Vision Saver blades perform at high-speed and windy driving conditions due to the patented aerodynamic wiper frames. Other blades will lose contact with the windshield surface resulting in poor wiping performance. Protection from rusting, chipping, and corrosion comes from both galvanized steel frames are a double coating of paint. 2002 Ford Explorer (Sport) Wiper Blade Set/Kit (Front & Rear) (3 Blades) - PremiumCategory: Ford Explorer Rear WiperGoodyear is synonymous with quality and reliability. Drivers from NASCAR to NHRA rely on Goodyear products to compete at the highest levels of automotive racing. With Goodyear wiper blades you can be assured that, you will experience superior wiper blade performance to keep your windshield clear for a safe driving experience. Goodyear Wiper Blades are made in the USA and designed to perform in all weather conditions.Goodyear Premium line is the match between performance and economy. These Goodyear Premium Wiper Blades are made in the USA and designed to perform in all weather conditions.